Many existing diets have as a principle to restrict what you can eat; making it often hard to follow because you always want to eat what you like and not what the diet dictates on you. Many diets in the market exist to help people shake off their extra weight. 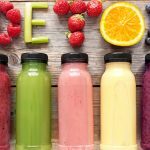 some others want you to detox your system such as the Juice diet recipes or even the Safflower oil diet. When you juice your food, especially fruits and veggies, you are making it easy on your digestive tract to assimilate and digest what you are bringing in. In that way, you are getting all kinds of needed nutrients. 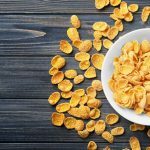 Other diets like the grain free diet side effects rely on restricting a certain food group, such as grains, which is supposed to help your body lose its extra weight. There are a lot of diets out there, for example, many people love following the autoimmune Paleo diet recipes. Well, in today’s diet we’re going to see that eating what you like and losing weight can be combined. 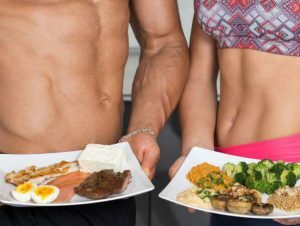 Let’s talk about the IIFYM diet, or as it is called, the “If It Fits My Macros.” If you are an individual who is looking to gain muscles mass and get ripped and bulked up, you may also want to check the amazing Bruce Lee workout and diet routine. One can surely learn too much from a legend like Bruce Lee! The IIFYM diet means, “If It Fits My Macros” and by macros, they mean macronutrients like protein, fat, and carbohydrates. 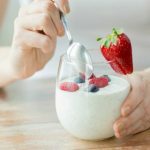 This diet work by looking at these macros you eat and tracking them to help you lose weight without restricting you with the food you want to eat. This diet was created by Anthony Collova, and when he created this diet, he wanted to make a diet that would be easy to follow, and very flexible. This is a diet that focuses on what quantity of food you eat, and while doing so, you can lose weight, burn fat, and gain muscles. And all of this while, of course, improving your health and your lifestyle. It isn’t for nothing that this diet is also called the “flexible diet.” The truth is that it’s one of the easiest one to follow if you are into bodybuilding. Because, unlike a lot of other diets that focus on what kind of food you eat, this one doesn’t care about it; but instead, you would need to watch the calories and grams of macronutrients you eat and determine how many of each macronutrient you can eat daily. But as the creator of this diet said, this diet can be healthy, and he even recommends for better and faster results to be careful about what you eat, and try to eat healthier. Because if you eat some bad quality food, you might lose weight but your body won’t be healthy, and it will be visible. 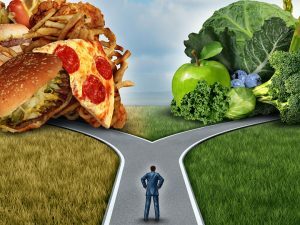 So even if this diet is flexible, and says that you can eat whatever you want, which is still the case, you can eat what you want, but you may want to eat a bit healthier to make sure that what you eat is truly good for you. So here are the few things to remember about the IIFYM diet. There are no forbidden foods, even if eating healthier would be better, if you don’t want to, you can. The people doing this diet often don’t realize they’re dieting, because they can eat as they want again. 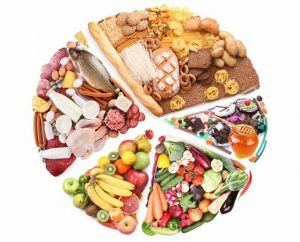 It is a straightforward diet to follow during social events, like going out at the restaurant or other special moments. While a lot of diets restrict food and quantity, it has been shown that this diet does allow you to eat the food that you love, and eat more than other diets, while reaching your goals, no matter if its muscles, weight loss, or getting in better shape. This flexible dieting is a system that is somehow different from the Body reset diet menu plan. The IIFYM diet: does it work? Let’s go straight to the answer : yes, it works, but how ? 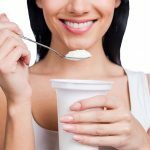 Well as many dieters have followed this diet, there was a few things to notice in each of their diets. First of all, they all tried to eat about 75-80% of healthy food, and once the goal of the day was reached, the 20% left was just what they liked. Then, all of them reached their weight goal, this is a diet that works, and a lot of then have been working out and gained muscles next to it. A few people that did this diet forgot they were dieting, so the theory was true, it feels like you’re eating like usual, but you’re losing weight without even noticing. It has been proven that the IIFYM diet works; but, a lot of people mention that they were trying to eat healthier. But, the fact that this diet theoretically allows everything, they were often brought to eat junk food and regret it. So, again, you need to watch out what you eat, and making sure that you don’t, only eat what you like, but a bit more of healthy food is truly important. One of the dieters said that she tried diets where she had to count down the calories, and once she started the IIFYM diet, she felt just, free. 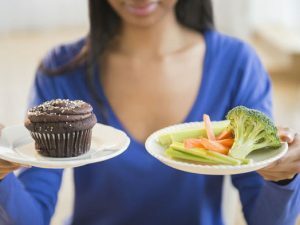 For her, counting calories is a waste of time; she has been stressed for years while doing that, as it became an obsession and it was not healthy. And with this diet, she lost weight, but she said that eating healthy was the true solution. There is sadly a counter to this diet. While you do this diet, you lose weight; you gain muscles, you reach your goals. But it is often to see that when people start eating like usual again, they’ll take back all the weight they lose within a month or two, that’s why it is recommended to change your lifestyle and your alimentation, so it stays healthier. 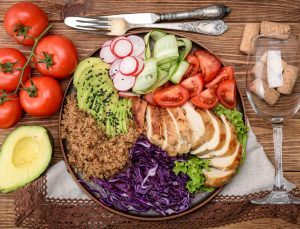 As said earlier, you can eat everything in this diet, but if you want to increase your chances to lose weight, healthy food is the solution, and here is an example of how to improve your weekly food plan. You will need to take in about three meals a day, every time that is having 25% of fat, 40% of carbohydrates, and 35% of protein. This can change because each diet plans differ for each dieter. And eating healthy is your choice too, but it is advised to eat 75% of healthy food each meal, and even better if it’s about 90%. The healthier you eat, the better and the faster you will lose weight and reach your goal. For the carbs, eating brown rice, whole-wheat pasta and sweet potatoes are an excellent way to reach your daily goal while eating healthy. The proteins can be achieved with lean white meat like chicken or eggs, and the fat is often the one you want to eat what you want, but if you want advice, eating vegetables like avocados or fish like salmon can contain the fat you need while staying in a healthy meal. All vegetables are good for you, and so are the legumes like beans. About the meat, try to go with white meat like chicken, but red meat like beef can be very good for you too. And here is another very important tip : if you eat complex carbohydrates like whole-wheat bread, pasta or brown rice, you’ll feel satiated longer, and it will be better for you and your digestion. Numerous excellent recipes are fit to be included in your IIFYM cutting diet. Let us take some examples. The Loaded Muffin (Bacon, Cheese and onion Muffin). This recipe is somehow simple to prepare and will take about 40 minutes between preparation and cooking. The following quantities will yield about 12 muffins, and each cupcake will contain 135 calories, three grams of fat and 21g of carbs. As for its protein content, it is about six grams per muffin. What you would need are 120g of bacon, 80g of diced red onions, thirty grams of butter, one big spoon of baking powder, almost 250 ml of non-fat milk and finally 150g of cheese. It is preferable to have cheddar cheese. Pumpkin Pie Muffins. This is a tasty new kind of adding pumpkins to your diet. You would need about an hour and a half to prepare and cook and get these minis ready to eat. The below ingredients will make about six cupcakes/servings. Each serving will contain 158 calories, six grams of fat, 18 g of carbs, and eight grams of proteins. As for the ingredients, you need the following: one pack of pie crust (it should contain six pieces), one dash of the following spices: nutmeg, cinnamon, and clove. Also, you need a third of a cup of Splenda, one scoop of vanilla powder (protein powder), four ounces of pumpkins, four ounces of cream cheese (fat-free), two egg whites and a dash of whipping cream. Curry Pot. This is one fantastic recipe for dinner and will only take ten minutes to put it all together; however, it will need to cook for more than four hours. So if you have time, this is your meal of choice. In case you feel more comfortable to cook at low heat, it will take eight hours! Surely is a time-consuming meal; but, it is worth it. The below ingredients will yield five servings. Each serving contains 169 calories, seven grams of fat, eleven grams of carbs, and 14 g of proteins. You will need six medium chicken thighs, one cup of chopped onions, one cup of chopped potatoes, one cup of coconut milk, and five big spoons of curry paste. Peanut Butter Doughnuts. These are one kind of a special dessert. It will only take you about 25 minutes to get these ready. The below recipe will yield six doughnuts, and each one will contain 114 calories, two grams of fat, 12 grams of carbs and eleven grams of proteins. For the doughnut itself, you will need one box of complete pancake mix, one scoop of whey proteins that is vanilla flavored, three grams of Splenda, and two grams of baking soda. As for the topping part, you will need one large egg and 50g of Greek yogurt that is low fat. Finally, for the filling, you need half a scoop of whey protein that is chocolate flavored, two ounces of Greek yogurt and 24g of peanut butter (the powdered version). From what you notice, there is a large variety of food when on this diet. You can eat what you please; this is one of the best things about this diet; even if you eat healthier, nothing is restricted. Bulking on this diet is easy. If your primary goal is to gain weight, the IIFYM diet is used for bulking; but, it will work easily and fast. This is one of the most convenient diets. It is so flexible, and you can change almost everything you want, from the quantity of protein, carbs or fat, to the food you eat, everything is up to you. 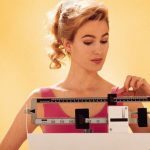 One of the biggest disadvantages of this weight loss diet is that it only good while you are following it. But it’s usual to see that if you stop eating healthily, and you go back to your bad habits, you might be surprised with the weight you gain within the next months. Even if you are allowed to eat what you like in this diet; at the end, it’s better for you to eat the better, healthier versions of food. So the biggest attractive thing in this diet is, in the result, not as good as expected. This diet can be very bad for you and your stomach’s health if you plan on eating pizzas, cheesecake and so on during the entire period of the diet. The result might be that you’ll have stomach problems and you won’t feel good. Such feelings should be expected. 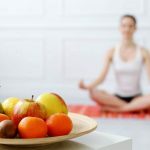 Every time you pick a fad diet that is not based on a proper distribution of food and a healthy way of eating; you find yourself in some trouble.